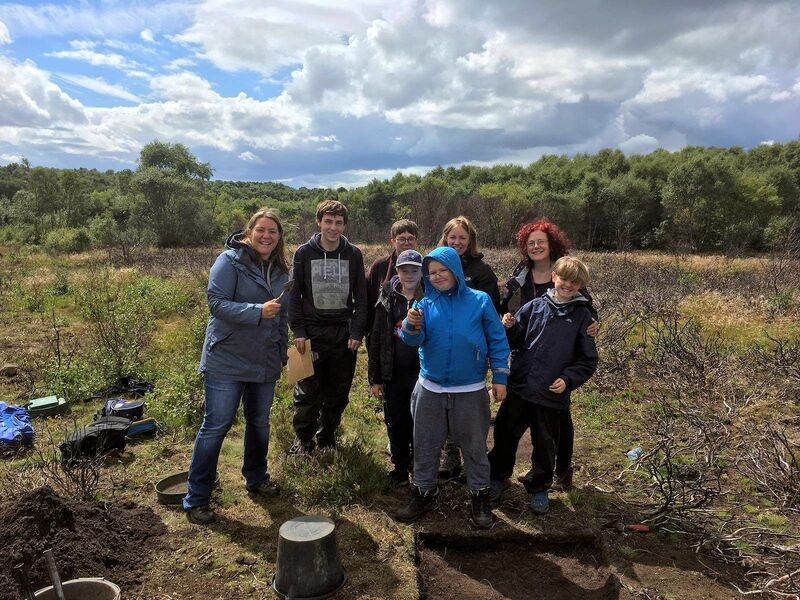 As the holidays begin and the summer heat continues, here’s a news update for the Eston Hills Rescue Archaeology Community Project. 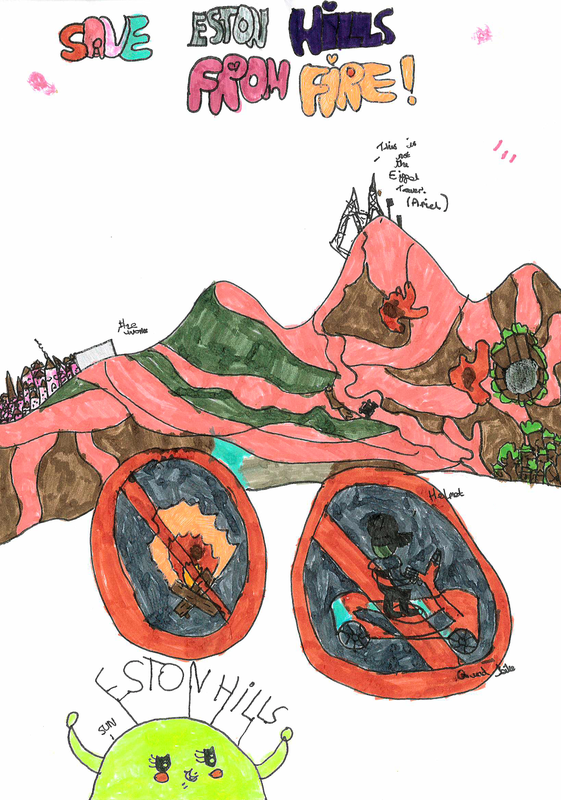 ICE & FIRE‘s Young Artist In Residence, Evie aged 10 (Year 5) from Whale Hill Primary School in Eston, has created this fantastic poster: SAVE ESTON HILLS FROM FIRE! We’ll be using this in future reports and on our website. Congratulations Evie! 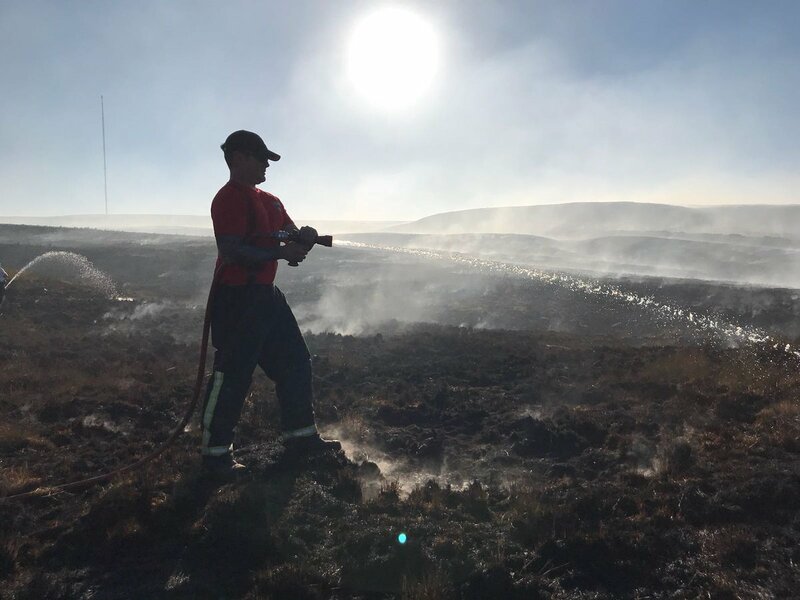 The terrible news about the Pennine moorland fires at Winter Hill near Saddleworth remind us all how easily fires start, quickly become out of control, and risk the lives of residents and emergency services personnel. The damage to the ecosystem, wildlife, vegetation and heritage is incalculable, and some damage will be unrecoverable. Our peatlands and forests are also critical for capturing carbon that would otherwise be released into the environment and atmosphere. Our own moorlands, woodlands and grasslands, even roadside stretches, are at HIGH FIRE RISK. Cleveland Fire Brigade alongside Cleveland Police, ICE & FIRE project partners, are urging everybody to be extra-cautious and vigilant. A great deal of progress has been made in reducing crime, anti-social behaviour, illegal off-roaders and arson, but offending continues by a reckless minority. Report any suspicious activity to @CrimestoppersUK on 0800 555111 or Cleveland Police on 101. You must dial 999 in the event of a serious crime, injury, or where lives, livestock or property are at risk. 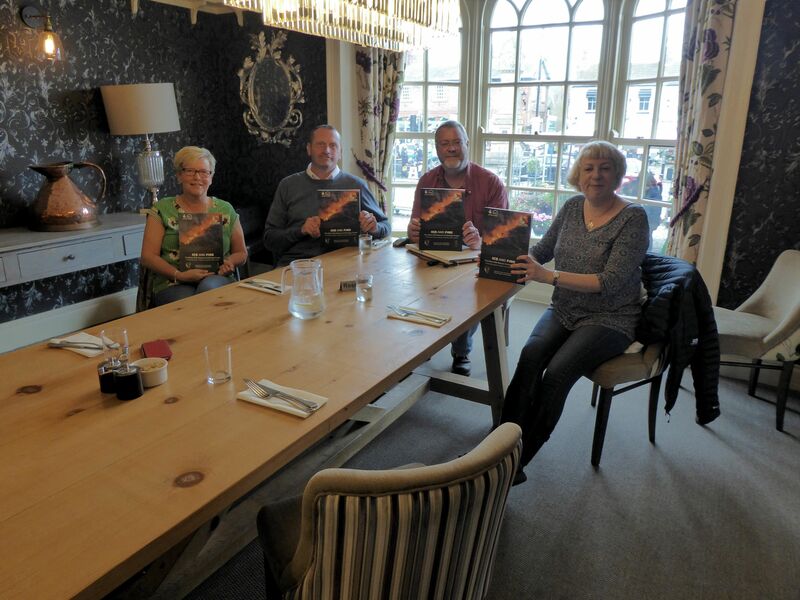 The ICE & FIRE project team met in Thirsk during June to celebrate our 2018 Interim HLF Report and to begin planning funding, activities and events in the future. We were only able to print a small number of the report booklet and posters – free to download as PDFs – but we are seeking funding to print more for schools and community outlets. A report copy is deposited in the Bill Bryson Library at Durham University and will be deposited at Middlesbrough Reference Library in the near future. L to R | Market Day in Thirsk: Rita Richardson (Friends of Eston Hills), Adam Mead (Director), Spencer Carter (Co-Director), and Terri Edwards (Editor). Our generous Heritage Lottery North-East grant for 2017 has been fully spent, with great results to match, and some ongoing specialist finds research work. We have identified some viable funding sources which we will apply to in order to continue work over the coming few years. While team commitments elsewhere mean that fieldwork is not planned for 2018, we will be looking to provide some finds-handling and training events during the autumn and winter. In the meantime, some recent security-ditch digging on the hills, aimed at excluding off-road vehicles, will be monitored and any disturbed archaeology accurately recorded. While the weather is so dry and the ground parched, we will also be conducting drone surveys to identify any new archaeological features – and we already have some exciting finds in the region! 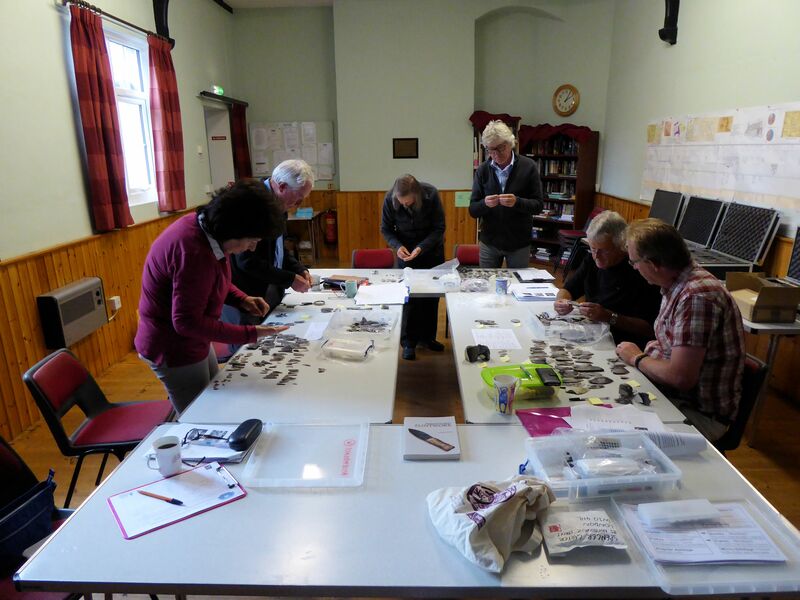 ICE & FIRE has a fantastic number of volunteers and people who have registered an interest in future fieldwork, as well as indoor activities such as finds processing and archive recording. We maintain a commitment to safeguard everybody’s personal information and to ensure that it is only used in relation to the project. We are in the process of migrating contact details to a secure application (Mailchimp) which will make management and communications easier, allow personal subscription management and unsubscribe where individuals no longer wish to receive messages. In the meantime, please spread the word about our exciting project and register your interest on our website or by email! We hope that your summer is happy, relaxed and above all, safe. My name is Echo. I’ve been trying to keep the ICE AND FIRE team in their test pits. Honestly, sometimes it’s like herding misbehaving sheep! I look out for bones and tell them to keep their sections straight. I know bones don’t survive from ancient times in these acidic soils, they just dissolve, but they might in the soggy wetland. Oh, those volunteers do moan about the weather too. It’s summer on Teesside! Aye. If you were an ICE AND FIRE 2017 volunteer and would like to submit a Dig Diary piece, please email estonhillsproject@gmail.com with any pictures of your own or, if you appear in any of the pictures on this website, let us know! Thank you again for being part of a brilliant – and hopefully ongoing – ground-breaking rescue project. Image courtesy of Jan Lindberg. 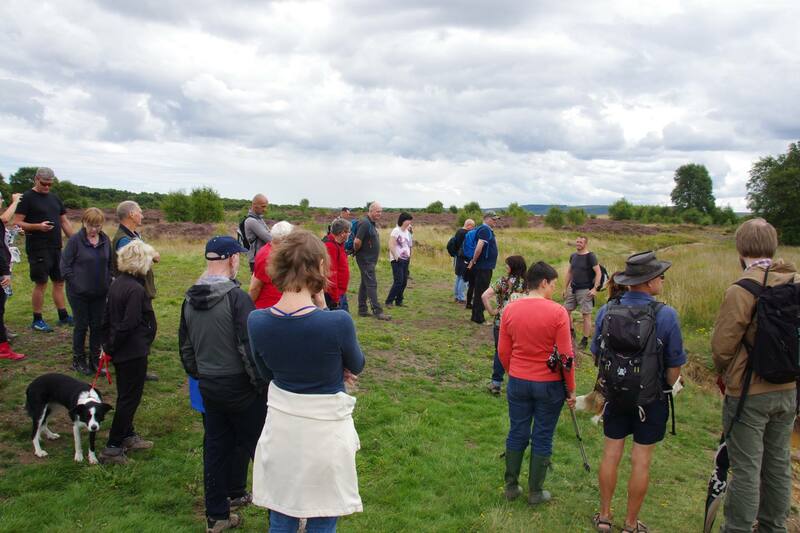 Many thanks to the folks who joined the Eston Hills guided walk on Saturday 5 August! Adam introduced the archaeology we know about and updated everybody about what the 2017 digging season has revealed. Virtually every test pit and trench turned up features like hearths and postholes, flints everywhere, prehistoric pottery too. We also have more than suspicions that we have some major monuments, as yet unrecorded and to test in the years ahead. The Eston Hills are regionally and nationally important for our heritage and ecology – all at risk of destruction. 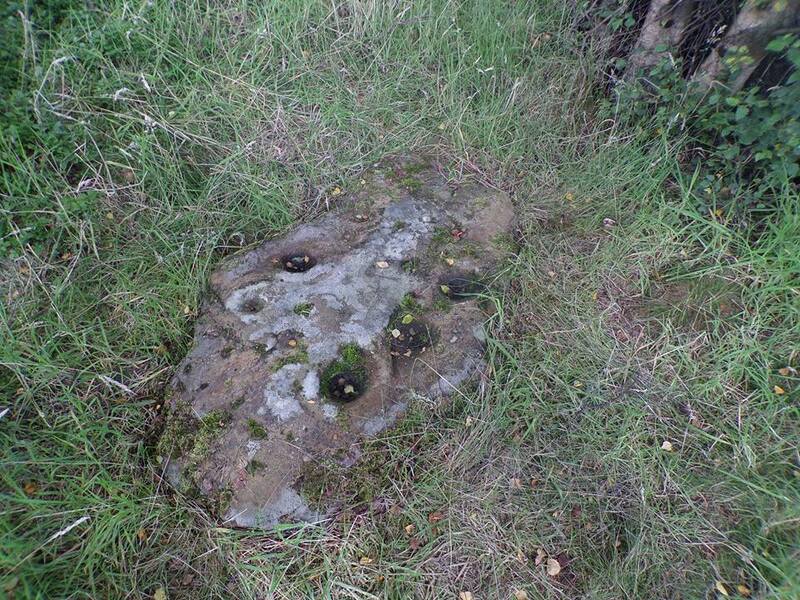 Image below | one of many rock art boulders dating to the late Neolithic to early Bronze Age, about 3000-2000 BC. Here, there are cup and ring marks – we can only guess at what they meant to the Eston residents in prehistory. Image courtesy of Craig Anderson who was on the guided walk. The length of the stone is c. 0.6m. The ICE AND FIRE project will assuredly continue as we look at funding options – both crowd-sourced as well as academic and heritage lottery. 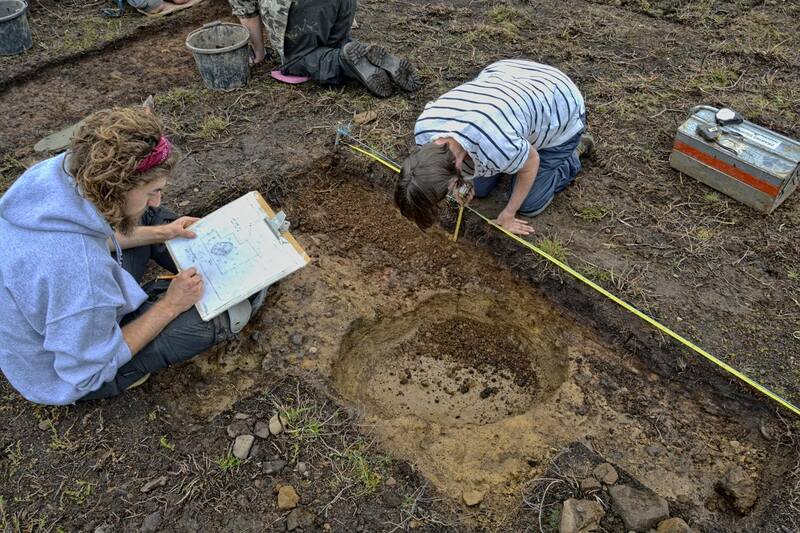 There will be opportunities to get involved with further exploratory work like finds processing, field-walking and recording legacy museum collections of finds. In summary, we have so much compelling evidence and potential that we know we need to continue this project – for and with the community. Are you onboard? 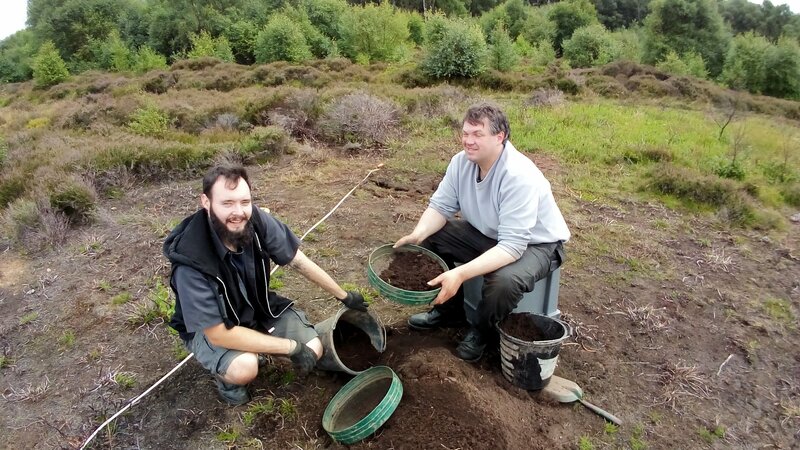 The 2017 rescue archaeology excavations on the Eston Hills, Teesside, have now been completed and post-excavation work on the finds, records and digital plans is about to commence. 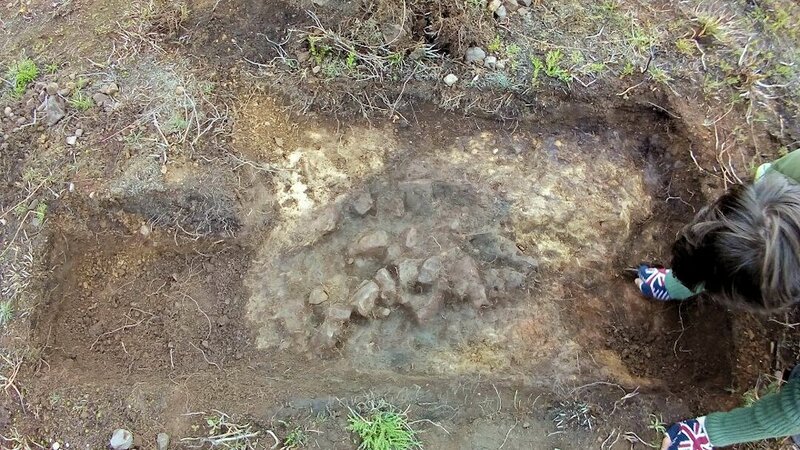 We can say that, in the two weeks of test pit and trench work, we have finds and features of both regional and national significance! Half way through the season, archaeological filmmaker Archaeosoup Productions visited the project and, with the help of fantastic drone footage by Clive Winward, has produced this 15 minute dramatic video of what we have learnt so far in this first of hopefully many seasons ahead. Project director Adam Mead explains the context of the project, its strategy and methods. 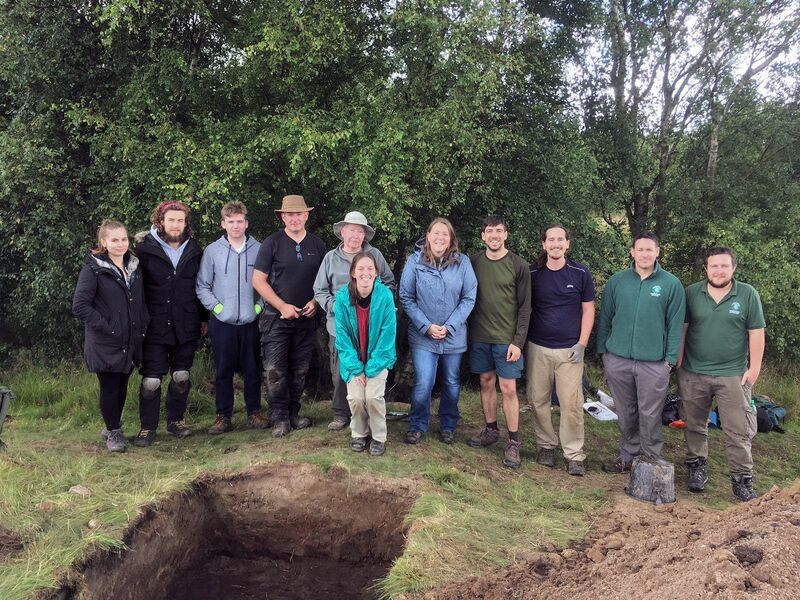 Thanks are extended to the project staff and the many volunteers – 25 people of all ages and backgrounds each day – for their enthusiasm, hard work and achievements, despite sometimes challenging ‘summer’ weather. We’re also delighted to have hosted Anna Turley MP and the Redcar & Cleveland countryside ranger team to see work in progress and hear about the important finds so far. The volunteers are also writing diary pieces about their experiences and we’ll post these here very soon with more pictures to enjoy. Teesside is very much on the national archaeology map! 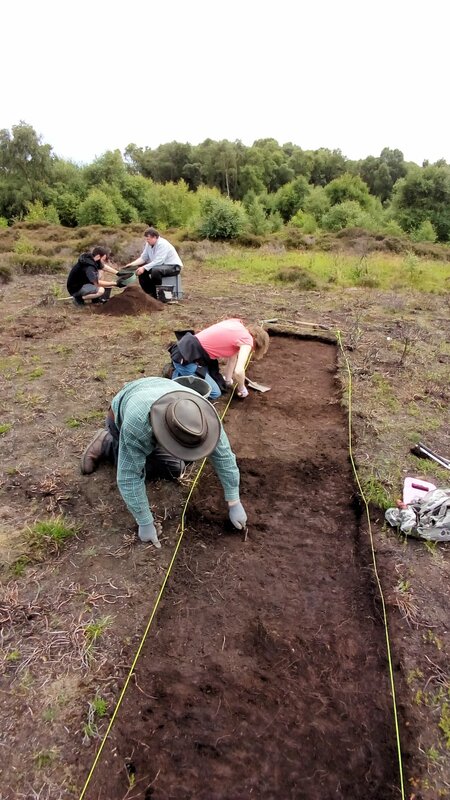 More pictures from the second week of action in the hills, courtesy of Clive Winward, including a purple visit by archaeological film maker Marc Barkman-Astles from Archaeosoup Productions. Footage is coming soon! 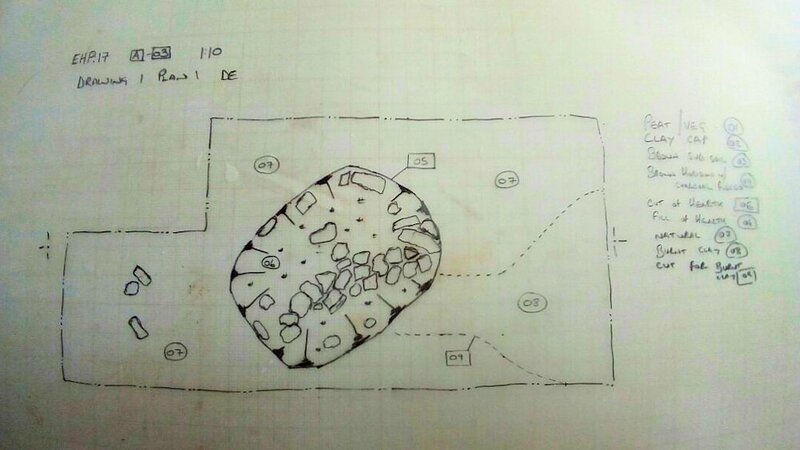 Drawing the section of the fire-pit feature, fully excavated and planned. 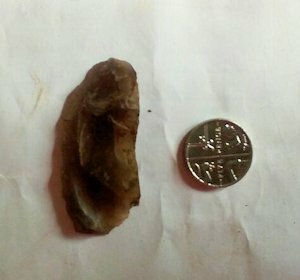 A flint flake tool with edge retouch down the right side. Flint was, and still is, readily available on the nearby beaches, dragged across what is today’s North Sea by glaciers. 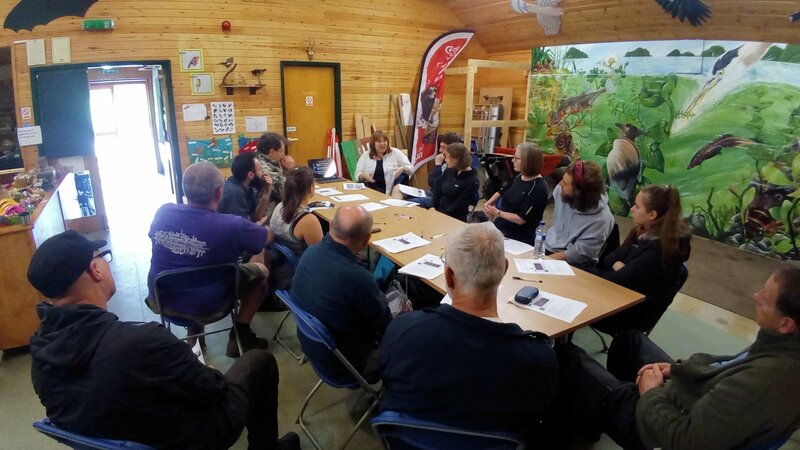 The rescue archaeology fieldwork on Eston Hills, Teesside, kicked off on Thursday 20th July with volunteers gathering in the Flatts Lane country park centre, the dig headquarters. The weather in the first three days has – as one might expect at the beginning of the summer holidays – been a mixed bag, but not enough to deter the team! Both the volunteers and the project staff have been in high spirits with multiple finds already discovered across the site. 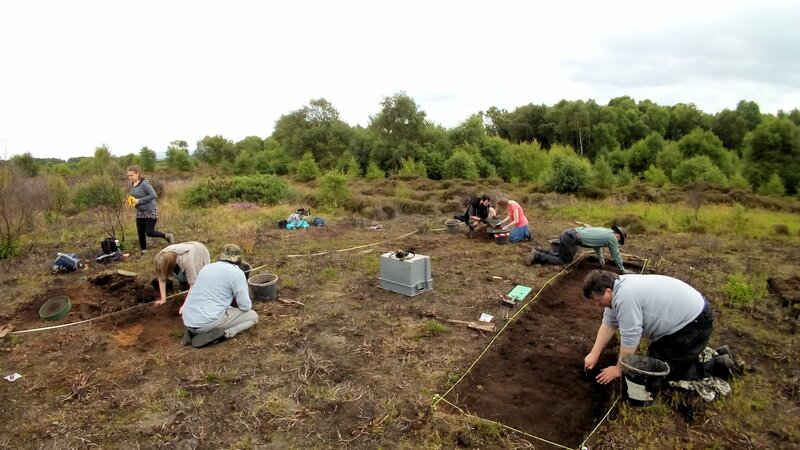 The previous geophysical survey work highlighted a number of areas where features, including areas of burning, were likely to survive under the shallow, denuded peat. 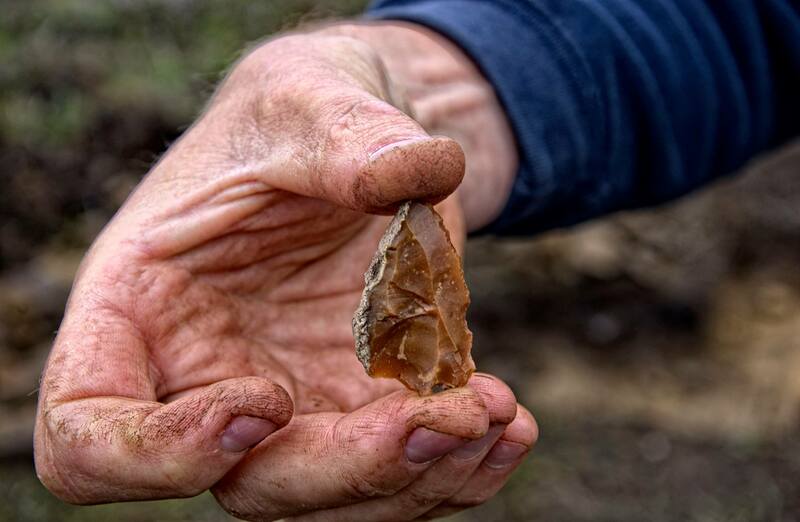 These are also areas where flint artefacts and knapping debris have been found on the surface. The project involves a series of test pits and trenches which are excavated down to the natural, sandy substrate. 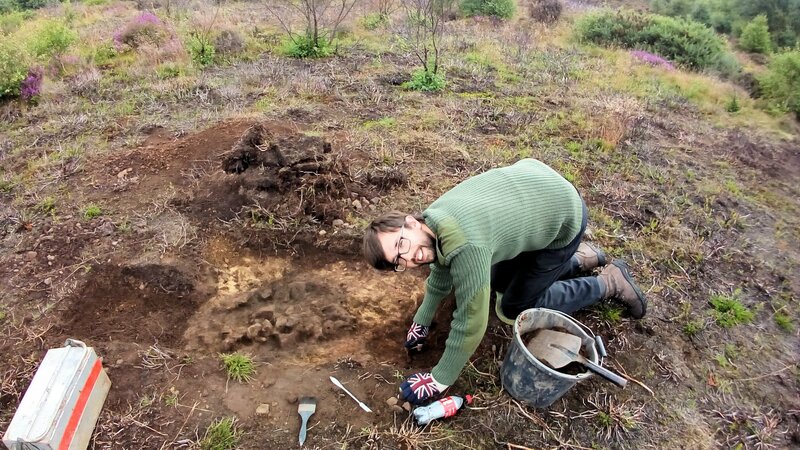 The peat itself generally dates to the Neolithic period when the climate became wetter, and so any artefacts beneath are at least five thousand years old. 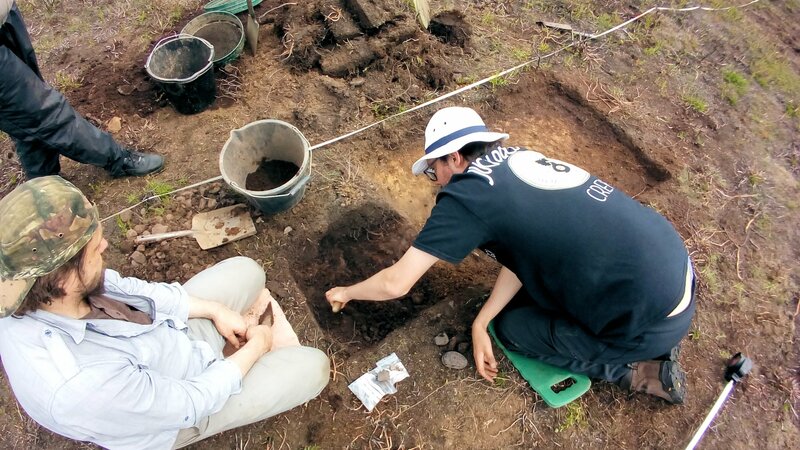 All of the contents of each pit or trench are sieved to ensure all artefacts, even the tiniest flakes, are recovered. Unfortunately, the soils here are also acidic and so bone does not survive. 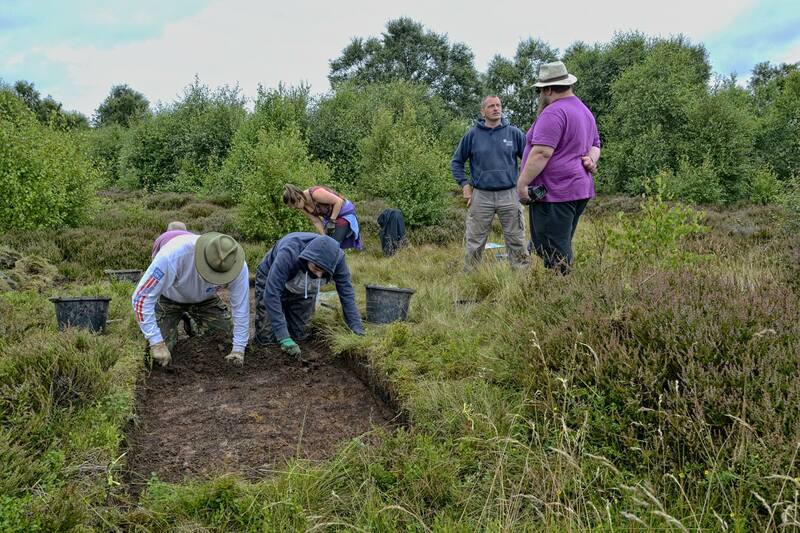 However, we do have the wetland areas where future work will be undertaken to assess whether there is prehistoric archaeology in the base levels. Each excavated area is surveyed using a total station, mapped back to the national grid, so that we know their exact location. Any features are planned, half-sectioned, photographed, carefully recorded on context sheet forms, and then fully excavated. 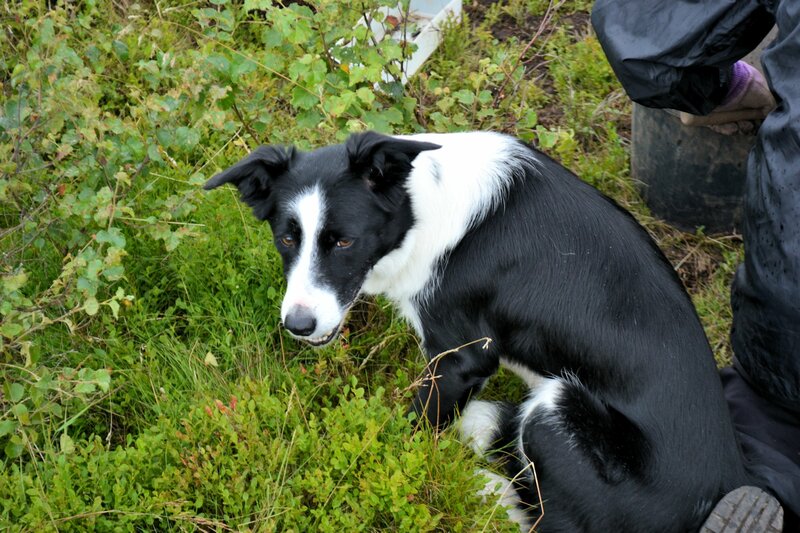 Soil samples are taken for even more careful analysis. Wet sieving and flotation can provide environmental information as well as charcoal which can be used for radiocarbon dating, where suitable (hazelnuts are best!). Artefacts, so far just knapped flint, are individually plotted, bagged and labelled. Once off-site they are gently washed and dried ready for post-excavation analysis. It is very rare to find features that date back to the Mesolithic or early Neolithic period. Yet, in the first few days, we have discovered a fire-pit or hearth filled with burnt stones – perhaps ‘hot stones’ from a meal, and before the advent of Britain’s first pottery around 3800 BC. We’ll be keeping our eyes open for any structural features such as stakeholes, postholes, ditches and floor surfaces. Even more volunteers are booked for the coming two weeks, and we hope Anna Turley, MP for Redcar, will visit too. We are now reasonably confident that we’ll find more features and datable deposits that tell us not just about thousands of years of human activity, but also the present state of preservation.